Long ago Shelley and Rosemary had been best friends. 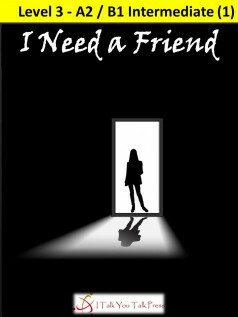 When Rosemary gets an unexpected letter asking her to meet Shelley in Paris, Rosemary knows she must go, because Shelley has written I need a friend very badly. Please come. Rosemary goes to Paris, but where is Shelley? And who is Adam, a guy who seems friendly but also makes Rosemary nervous? Rosemary is being followed. But who is watching her? And what do they want? In just a few days in Paris, danger, tragedy and mystery follow Rosemary as she tries to understand Shelley’s life. It will change Rosemary’s life forever.